Amyotrophic lateral sclerosis type 4 (ALS4) is a rare, early-onset, autosomal dominant form of ALS, characterized by slow disease progression and sparing of respiratory musculature. Dominant, gain-of-function mutations in the senataxin gene (SETX) cause ALS4, but the mechanistic basis for motor neuron toxicity is unknown. SETX is a RNA-binding protein with a highly conserved helicase domain, but does not possess a low-complexity domain, making it unique among ALS-linked disease proteins. We derived ALS4 mouse models by expressing two different senataxin gene mutations (R2136H and L389S) via transgenesis and knock-in gene targeting. Both approaches yielded SETX mutant mice that develop neuromuscular phenotypes and motor neuron degeneration. 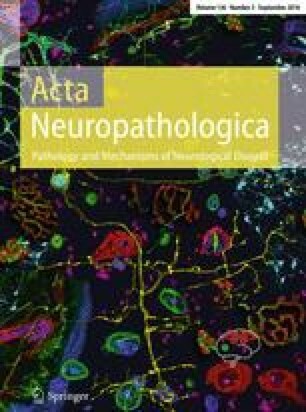 Neuropathological characterization of SETX mice revealed nuclear clearing of TDP-43, accompanied by TDP-43 cytosolic mislocalization, consistent with the hallmark pathology observed in human ALS patients. Postmortem material from ALS4 patients exhibited TDP-43 mislocalization in spinal cord motor neurons, and motor neurons from SETX ALS4 mice displayed enhanced stress granule formation. Immunostaining analysis for nucleocytoplasmic transport proteins Ran and RanGAP1 uncovered nuclear membrane abnormalities in the motor neurons of SETX ALS4 mice, and nuclear import was delayed in SETX ALS4 cortical neurons, indicative of impaired nucleocytoplasmic trafficking. SETX ALS4 mice thus recapitulated ALS disease phenotypes in association with TDP-43 mislocalization and provided insight into the basis for TDP-43 histopathology, linking SETX dysfunction to common pathways of ALS motor neuron degeneration. Craig L. Bennett and Somasish G. Dastidar contributed equally to this work. The online version of this article ( https://doi.org/10.1007/s00401-018-1852-9) contains supplementary material, which is available to authorized users. We are grateful to R. Palmiter (University of Washington) for providing the ES cell targeting vector (4317G9), B. Crain and L. Ostrow (Johns Hopkins Medical College) for providing ALS4 patient tissue samples and A. Wörner (Max-Planck Institute of Biochemistry) for providing the NLS-NES-eGFP shuttling reporter construct. We wish to thank J.F. Ervin for technical assistance. This work was supported by funding from the US National Institutes of Health (R01 GM094384 [C.L.B. ]), the Robert Packard Center for ALS Research at Johns Hopkins School of Medicine [A.R.L.S.] and the Motor Neurone Disease Association (MNDA) [B.M. & L.G. ].